Photo Coffee Mug from SeeHere for only $5.20 with FREE overnight shipping! 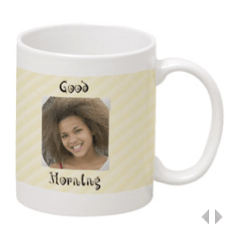 Get a Photo Coffee Mug from SeeHere for only $5.20 with FREE overnight shipping! Use coupon code thankyou at checkout to bring the price down to $5.20. Offer Expires December 12, 2010.